We love a touching story of giving at the GoodNews Notebook. This is the perfect way to kick off February, a month of love and caring. 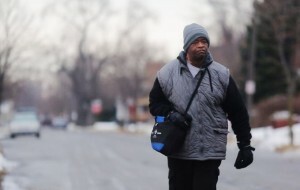 Recently, according to the Detroit Free Press, we discovered a story about James Robertson, a Detroit man who commutes about 21 miles a day on foot to and from work has spurred reaction from across the nation, including social media fundraisers that have netted more than $280,000. (UPDATED 2/4/15) But, our focus is not only on James, but the young student from Wayne State University who took action. How many times have we seen friends and family in need? How often do we fail to take action in one way or another? Therefore, we would like to extend the GoodNews Honor Award to Mr. Evan Leedy for going that extra mile for Mr. James Robertson. Evan’s GoodDeeds shows that you can IMPACT someone’s world in only 3 days. Evan Leedy, 19, of Macomb Township, a WSU student studying computer science, said he was struck by the article and by the sudden torrent of people commenting online, many of them asking how they could help Robertson. Leedy said he decided to act. “I just used my phone. I created the go-funding site and within an hour we had $2,000,” he said. “I set the goal at the beginning of $5,000. Right now my page has more than $30,000” as of 6 p.m. Sunday, Leedy said. As of February 4th, GNN has learned that the donations have continued to stream in at over $280,000. If you would like to donate, then simply go to http://www.gofundme.com/l7girc. 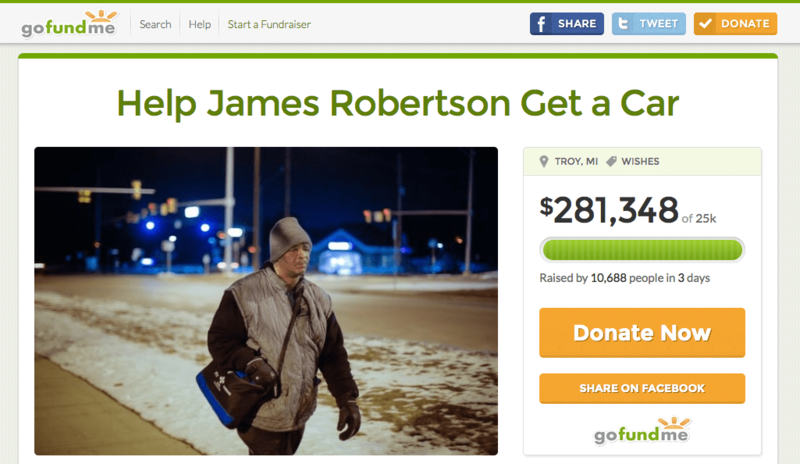 The concerned by Leedy started because buses don’t cover the full distance between James Robertson’s home in Detroit and his job in Rochester Hills, he walks a little more than seven miles headed to work and about 13 miles home, five days a week. His story — told by Bill Laitner in Sunday’s Detroit Free Press — has inspired hundreds to offer money to buy him a car, pay his insurance and professional help in managing the donations. Robertson said Sunday he was flattered by the attention he’d gotten for his arduous commutes after the Free Press published a front-page story about him — and amazed that complete strangers would respond so generously, some by offering to buy him a new car and others offering to give him one. According to the Huffington Post, Robertson’s work ethic and spirit are truly inspiring. Robertson doesn’t complain and he manages to have perfect attendance at work.